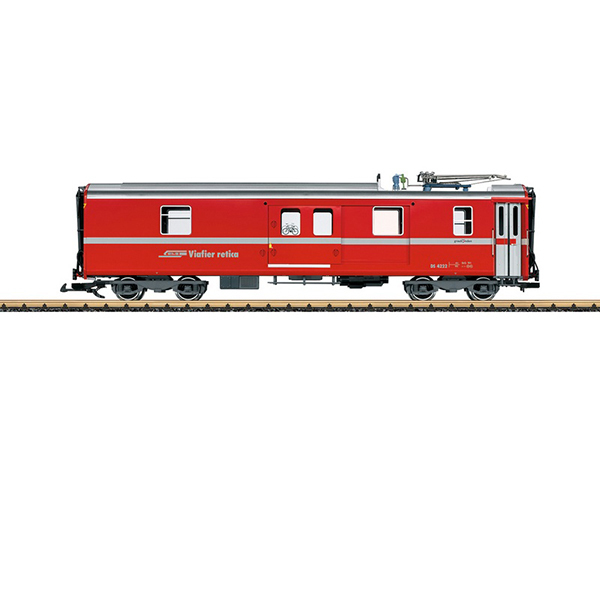 Product: This is a model of an RhB baggage car with a pantograph, as it is used chiefly in longer trains in order to supply the train's heating line with more power. The paint and lettering scheme are prototypical for Era VI. The pantograph can be raised and lowered manually, and the doors can be opened. The car has metal wheel sets. Length over the buffers 62 cm / 24-3/8".